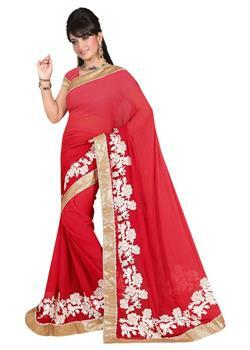 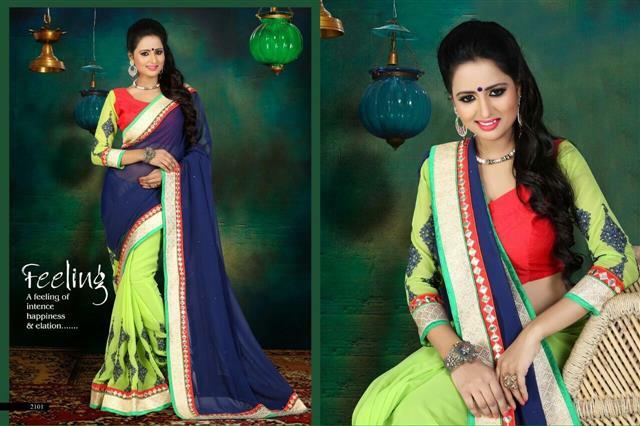 Get the beautiful creation by Asopalav that enhance your beauty. 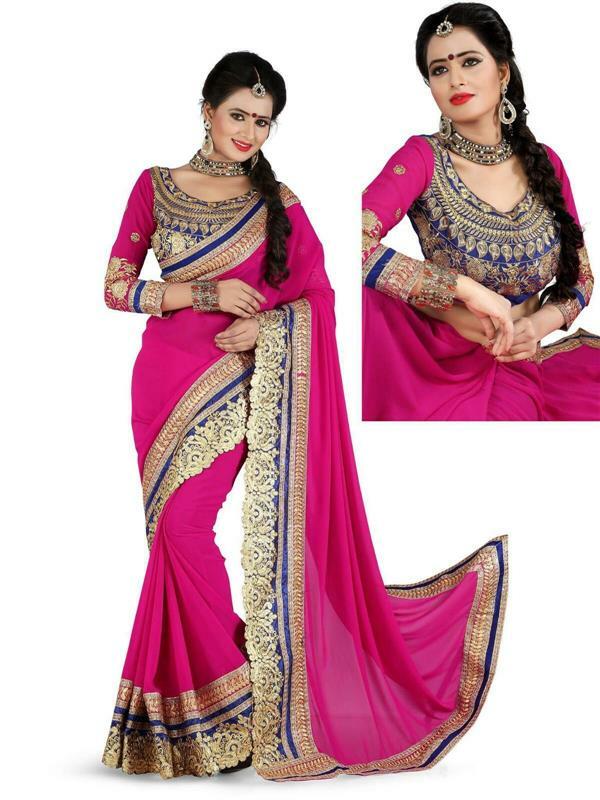 The gorgeous nylon saree having orange and pink shaded pallu with rich brocade border with resham work. 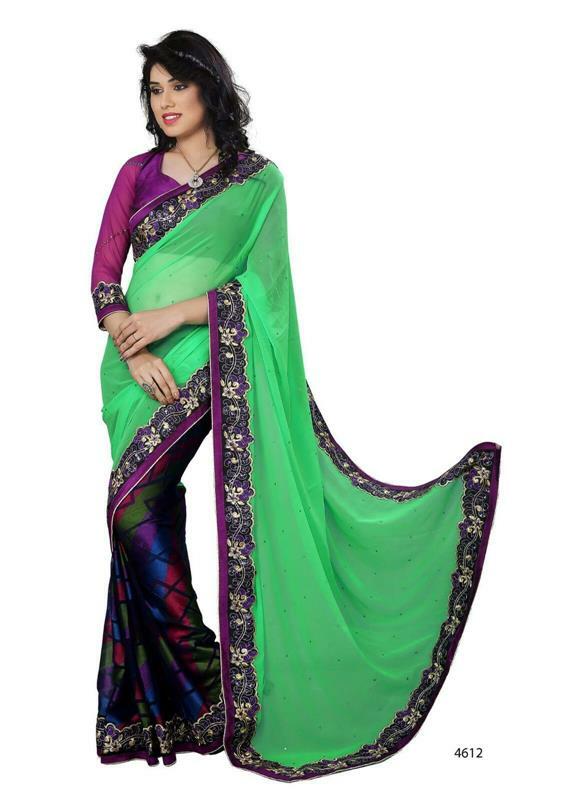 The pleats are also enriched with golden embroidery work. 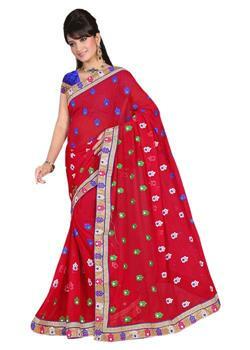 It comes with unstitched brocade blouse fabric that is revamp with patches.